Besides cool nights and campfires, my favorite part of fall is making pine cone crafts with my family. We love going out and collecting the pine cones, taking them home and turning them into something special. Plus, we always have tons of laughs too! The best part is when we put together easy pine cone crafts we are also spending good quality time together too. If you love handcrafting art, you have to take a look, so you don’t miss out on these fantastic ideas! 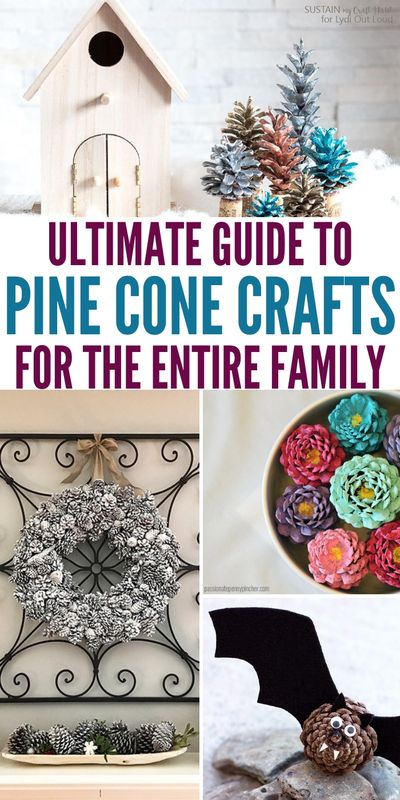 Check out all these awesome pine cone crafts for the home. It’s time to put down your phones, load up the entire family and go on an adventure picking your pine cones. If going on a hunt isn’t your thing, you can always head to the nearest craft store. Either way, you will end up with a fabulous masterpiece. 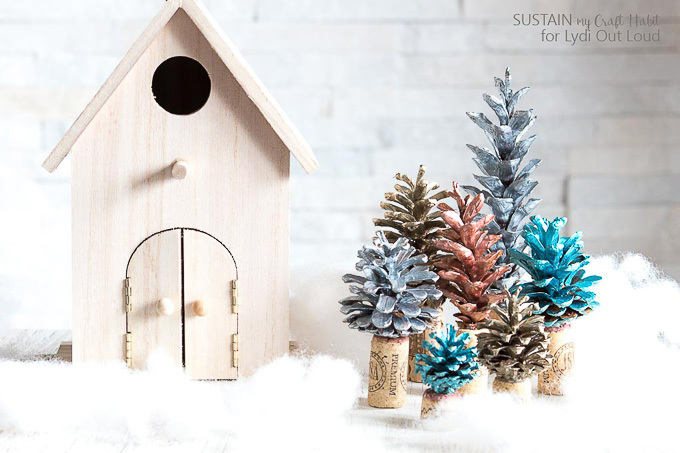 Here are some wine cork crafts you might enjoy as well. 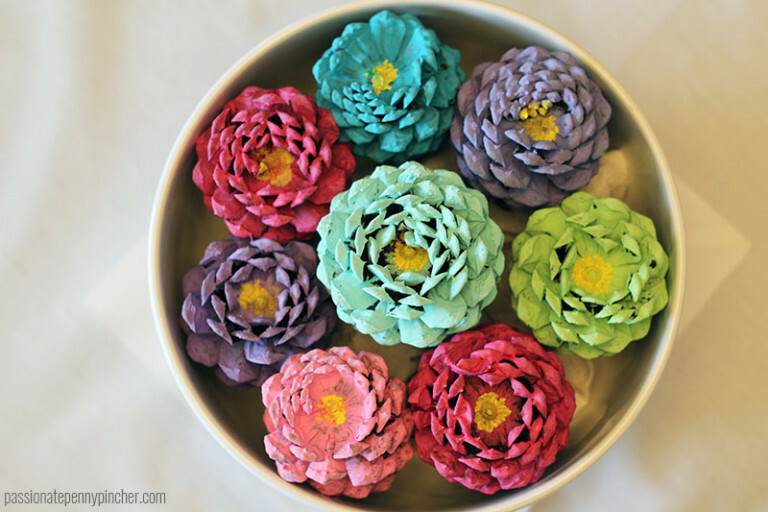 Ombre pinecones are effortless to make, and the result is beautiful. They can give any space a new life, and your color choices are endless. I remember being a little girl and making cinnamon pine cones at school for that reason every time I smell cinnamon oil it takes me right back to my childhood. 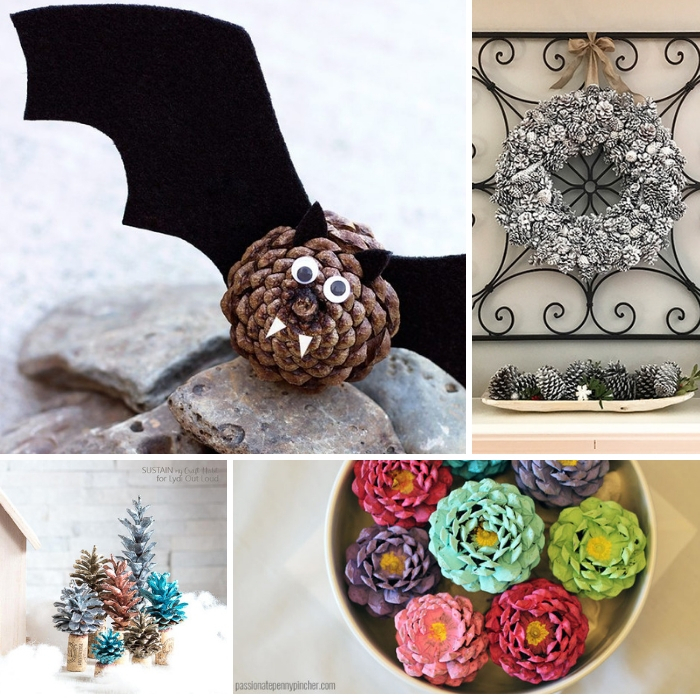 There are a variety of adorable pine cone pets you can make that are hands-down the easiest! Above all, the children will be so proud of their new little animals. 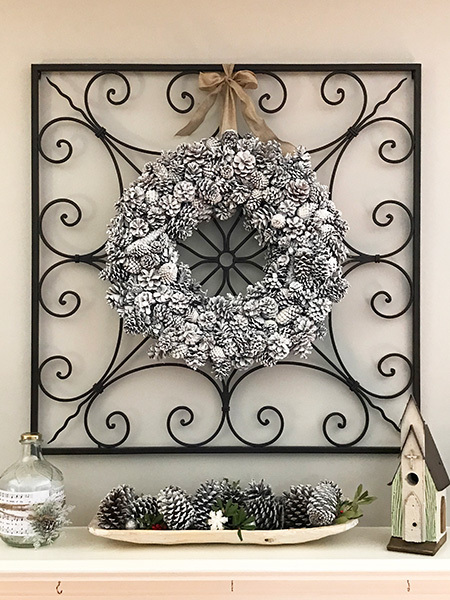 You are going to fall in love with this elegant and gorgeous winter pine cone wreath. All of your friends and family are going to be asking you where you bought it! Have an upcoming Christmas party? You have to look at this homemade string lighted garland. It is fabulous and belongs in your home or office! Try making these loveable pine cone Christmas trees because they will brighten your day. Similarly, the kids are going to have a blast making them too! Are you looking for rustic decoration ideas for an upcoming wedding, anniversary party or holiday event? You must see these darling pine cone placeholders. It is incredible that you can paint pine cones in a snap and the result is so lovely. You can do different themes depending on what season it is. Your kids are going to go crazy for these endearing hedgehogs. With just a few necessary materials you can have an entire hedgehog family. When you look at these frosted pine cones, they give you a majestical feel and start getting you in the spirit of the holidays. Making rustic pine cone garland should be on everyone’s to-do list. It is just gorgeous, and you can hang it anywhere. 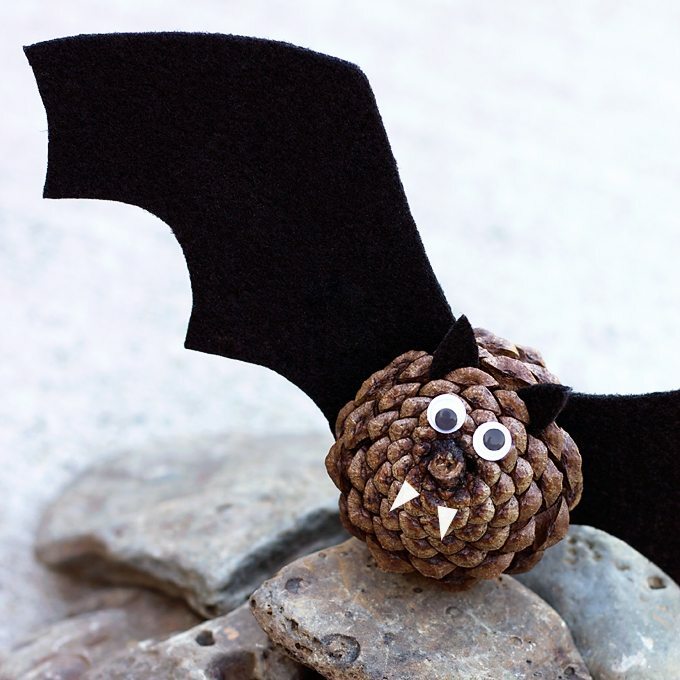 If you are looking for a spooky craft, then you should look at these pine cone bats. They are simple to make, and the kids will love them. These bouquets of pine cone roses are classically charming, won’t break the bank to make and you could even give them away as gifts. Would you believe me if I told you that you could make your cotton stems? With a little bit of time and a few materials, you can use pinecones to make farmhouse style cotton stems. I can hear these yarn-wrapped pine cone apple trees calling your name! They are so precious and can be put together so quickly. If you want a pine cone craft that is elegant, festive and stunning, you need to make these painted Christmas trees. Keep all your birds happy and fed with these simple pine cone bird feeders and as a result, you will get to enjoy watching them eat it too. These sweet pine cone reindeer are as festive as they are cute and most importantly they are so simple to put together too! Consider making these bumble bee pine cones because they are perfect for little fingers to put together. This craft is fantastic for springtime too. 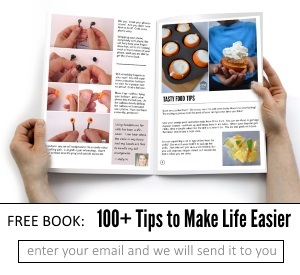 I hope you enjoy all these easy and fun crafts you can make at home. Check out 14 fall wood DIY crafts. Which one of these crafts are you most excited about making first?